Michigan Golfers Now Have An App For That! 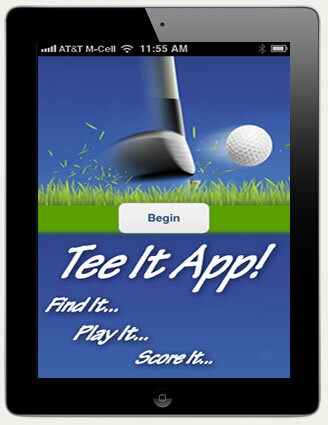 Tee It App, Inc, a mobile app developer, announces the release of Tee It App – Michigan for the iPhone, iPads and iTouch. Golfers now have instant access to every golf course in Michigan. Useful course information and exclusive “round tracking” features for scores and multimedia content such as video, pictures, audio and more, are readily available on your iPhone or iPad. It is fast and easy to find courses through novel map navigation, sophisticated word search or retrieval of previously saved favorites. Driving directions and maps are provided to each golf course. Golfers can view real-time course information including current radar, wind speed and weather, making planning a snap. An intuitive “round tracker” leverages the multi-media capabilities of your mobile device allowing you to store your scores and pictures, audio, video and text notes for each round you play. Round scores and multimedia history are easily retrievable for handicapping and comparison. Share your stored memories, scorecard and course pictures, and videos with other golfers. “We are pleased to offer Michigan golfers a full-feature app that makes each round of golf more enjoyable and memorable,” said Kendra. Search the App Store for “Michigan Golf” or “Tee It App” to learn more or download today. View tutorials on YouTube or at www.teeitapp.com.